Tomorrow the first 80 readers who post a comment and email me on Friday at Noon CT will get a free Snapily 3D Card plus free shipping ($5.73 value). Watch for my new post, because you will need to follow my instructions to win your free 3D card. Plus everyone can design a free 3D Mother’s Day Card (just pay shipping of $2.23) so watch for my new post on Friday at noon with more details. This is a very unique card because it’s got a special 3D effect so that your photo moves! 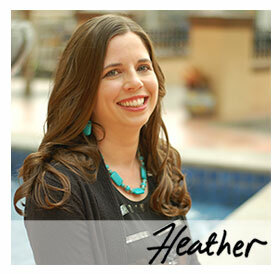 And be sure you’ve got Heather’s email address in your address book so you’ll be ready to email me tomorrow. Good luck! I would love one of these cards for free. My email is ameliaturcotte@gmail.com. Thanks so much. I hope I am not too late. I would love a card. These are so unique! I would love to get one of these cards! They look so neat! I would love one. Thanks! Would love one of these for my daughter. It's her first Mother's Day! I love those freebies 🙂 ! Specially cards, pictures, etc.. they are just great ! Those 3D ones look so cute. I would love one of these to send to my mother in law for Mother's day. She lives so far away and has only seen her grandbaby in pictures. These are really cute cards! I would love to get one of these cards!! I would love to win one of these cards to give to my mother for mothers day. Tahnks for the great contests. Would love one of these cards! They are so cute! can i get a free Snapily 3D Card ? I would love this! This would be so special for my mom. I would love a free 3d card. I would love one of these cards, they are really neat! These cards look great! I would certainly love to receive one! 20 Mins!! I can't wait! I would love one of those cards! I love the cards I got from snapily.